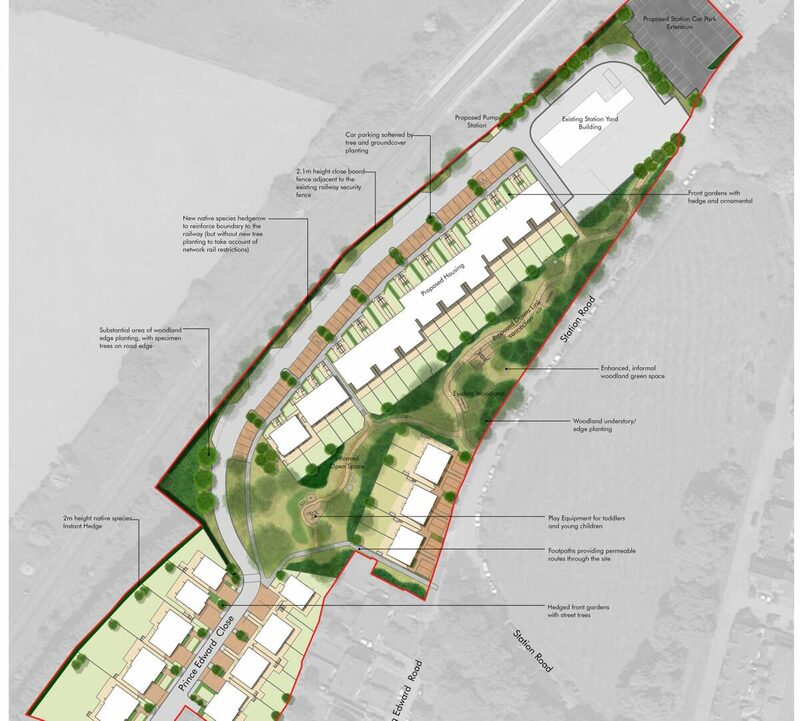 We provided landscape consultancy advice and prepared Landscape Masterplan proposals to support a successful reserve matters application for this new housing development of 40 homes set within a wooded open space close to the Crawley to Chichester railway line. We subsequently prepared technical design drawings and specifications to assist in the discharge of pre-commencement conditions. The scheme includes informal open space, play provision and a new Downs link footpath to provide increased permeability and connectivity to the wider landscape. Particular attention needs to be given to the interface with the railway line and balancing the amenity and play value of the wooded setting with biodiversity objectives. The overarching landscape design aim for Christ’s Hospital was to conserve and enhance the existing woodland vegetation and to establish a high quality and well managed soft landscape setting for the new development.